What is the MSF Advanced RiderCourse (ARC) course? The ARC is the public version of the Military SportBike RiderCourse (MSRC), and may be taken by riders using any type of motorcycle. It is a one-day course consisting of approximately 3½ hours of classroom activities and 4½ hours of riding. There are eight riding exercises. There is no formal skill test, but there is a knowledge test that may be self-scored. The procedures for riding a sport bike do not vary greatly from the procedures for riding other types of motorcycles. But the techniques some riders use are different (two-finger braking, balls of feet on footrests, use of leg pressure for control, etc. ), and these depend somewhat on the specific motorcycle as well as the specific talent and skill level of a rider. Most sport bike riders appreciate the outstanding performance and handling characteristics provided by the design and technology that is incorporated into sport bikes. 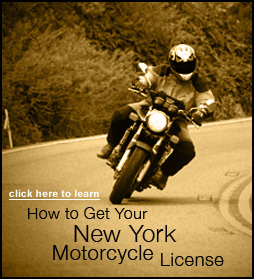 This is why the course uses the title it does; that is, the techniques used for more performance-oriented riding can be used to enhance the skills and techniques for riders of any type of motorcycle. Techniques that extend beyond basic riding procedures are addressed in the ARC. Sport bike riding techniques are not intended to encourage or endorse riding at higher speeds, but are provided to improve the performance capabilities of riders, particularly related to overall control, cornering and emergency maneuvers. The overall aim is to provide rider development in the areas of risk management, decision-making, riding strategies, and rider behavior and choices. This includes learner activities to foster gains in knowledge, skill, attitude, values and habits. How many riders can be trained in one ARC? The maximum is 12 riders. The rider/RiderCoach ratio is 12:2, with a requirement that two RiderCoaches conduct the range exercises no matter the class size. One RiderCoach may conduct the classroom portion. How similar is the ARC to the Military SportBike RiderCourse (MSRC)? The courses are nearly identical. The MSRC is administered and operated by specific military branches and/or their contractors. Where is the ARC offered? Courses may be offered at existing NYSMSP Training Sites that have approved ARC ranges. Who conducts the ARC Certification Courses? MSF-certified RiderCoach Trainers who have been pre-approved by the MSF may conduct an ARC Certification Course. Are passengers allowed in ARC?